If you develop applications using Railo, Jelastic can help you simplify and empower the latest web development technologies with its cloud-based platform. 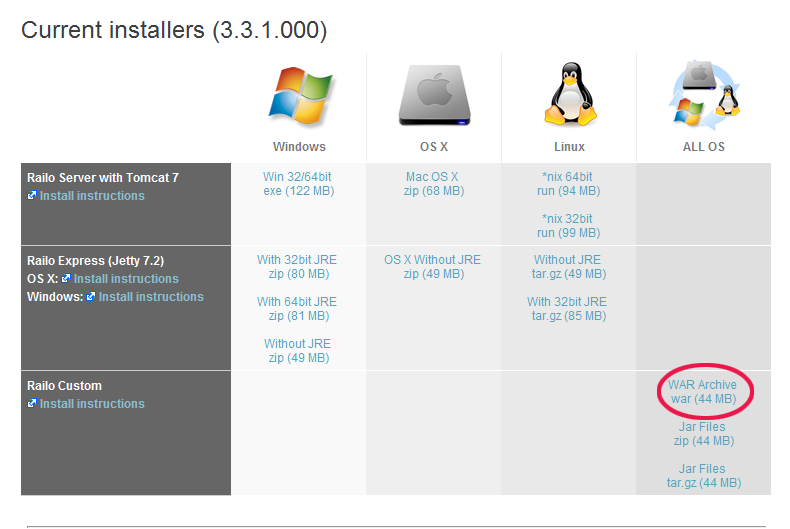 Using the platform you can set up auto-scaling applications in seconds. Follow our instructions to deploy Railo to Jelastic cloud in just a few minutes. So let’s get started! Go to jelastic.com and sign up if you haven’t done it yet (you can do this on Servint or Host Europe servers) or log in with your Jelastic credentials by clicking the Sign In link on the page. In the Environment topology window, specify the resource limits, you want to be set for the environment (e.g. 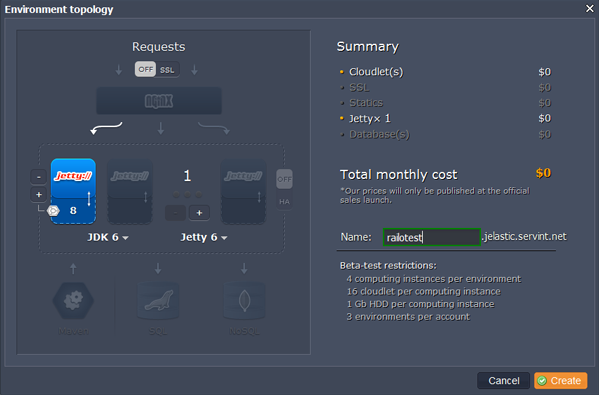 8 cloudlets), select Jetty 6 as your application server and type your environment name, for example, Railotest, click Create after that. In a minute your environment will be successfully created and appears in the environments list. 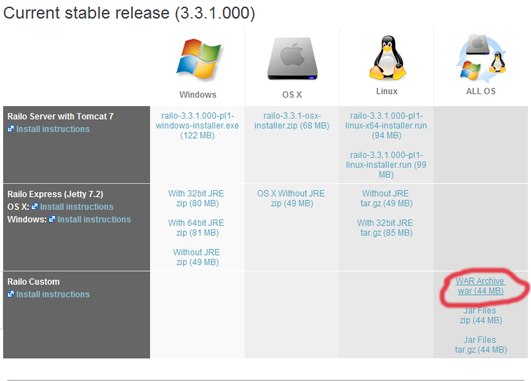 Go to Railo web site, click Downloads, in Current stable release table navigate to a WAR archive and copy its link. Go back to Jelastic dashboard and upload a WAR archive you need to the Deployment manager by pasting a copied URL. Once the package is uploaded to Jelastic, deploy it to the environment you have just created. 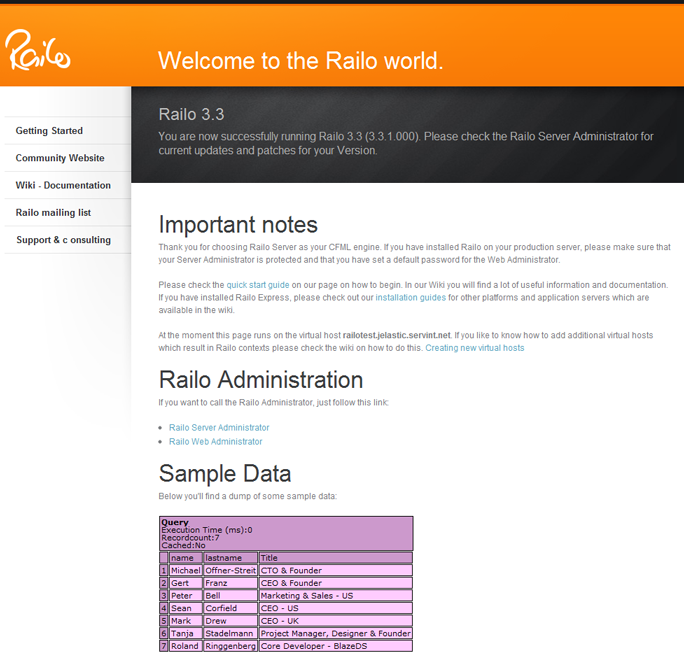 Now you can launch Railo in your web browser and use all its functions!